The significance of microfluidics is growing due to the increasing number of analysis opportunities it opens up (think: ‘lab-on-a-chip’).Now, LPKF Laser & Electronics AG presents a laser system that enables the creation of completely new product layouts for these devices. The functional zone in a microfluidics device generally consists of two planar surfaces. A lower component has channels created by hot stamp-ing, while an upper cover is placed on top to seal the channel structure. The channels in a microfluidic device are so fine that within it capillary forces dominate and gravitational forces are rendered irrelevant. Creating a reliable, precise seam between the upper and lower layers is extremely important, and laser welding has established itself as the tech-nology of choice for creating these joints. It is a clean process free of the type of debris, melt blow-out, and additives that can damage a device’s sensitive channels. 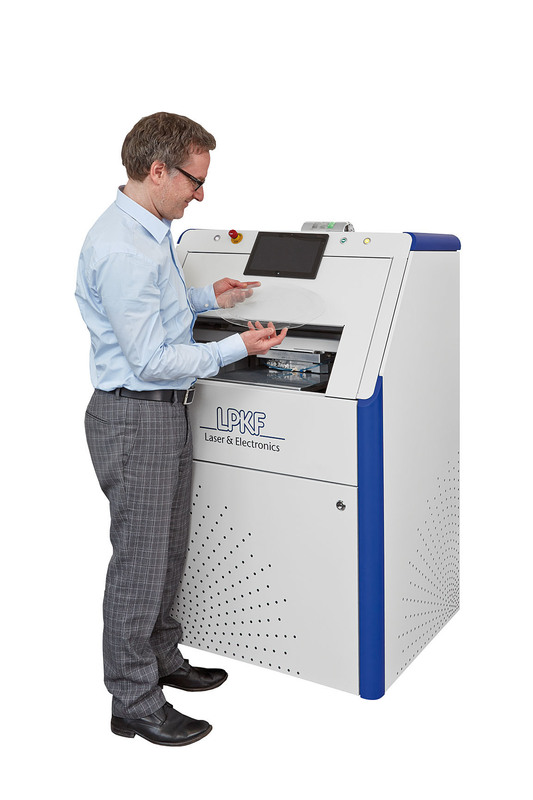 At K show in Düsseldorf, Germany from 16 to 23 October, LPKF will be presenting the new LPKF PrecisionWeld laser system designed especially for microfluidic applications (Stand E04, hall 11). The LPKF PrecisionWeld can create weld seams with a thickness of 100 µm and has positioning repeatability of 10 µm, a level of precision that has never been achieved before. This is accomplished by separating the housing from the processing compartment. 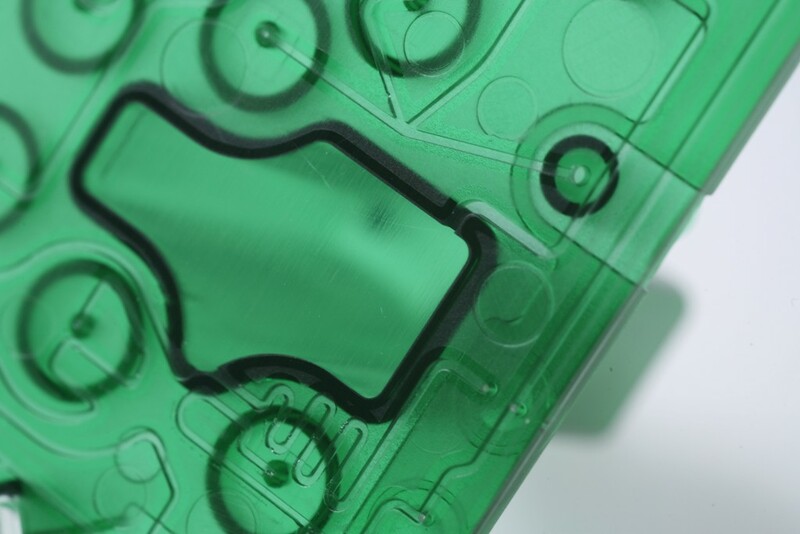 This design has already proven its value in practice, as it is based on the company’s ProtoLaser systems that have produced outstanding results in the PCB prototyping sector for many years. The LPKF PrecisionWeld also boasts other highly interesting properties, such as a scanner system to guide the laser beam and a positioning table. This expands the effective working area to 320 mm x 320 mm. In addition, an integrated camera system allows for the detection of specially applied fiducial marks, or it can use the geometric elements of the device itself. This allows compensation for tolerances in the device or its fixture. 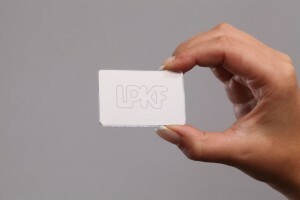 With the LPKF PrecisionWeld, parts can be joined using the classic transmission laser welding technology as well as the new LPKF Clear-Joining technology.In transmission laser welding, the two parts to be joined have different absorption properties, e.g. a laser-absorbing basal unit has a clear cover plate. The laser beam passes through the upper laser-transparent layer but is absorbed when it hits the lower part, so that the energy in the light is converted to heat and melts the plastic. A moderate joining pressure is applied which promotes thermal conduction into the upper part, producing a reliable and precise weld seam. Because it has a laser wavelength of 1,940 nm, the LPKF PrecisionWeld is also capable of joining two transparent components. This takes advan-tage of the new LPKF ClearJoining technology: At this wavelength, most technical polymers absorb enough of the light to melt at high energy den-sities. The laser beam is focused precisely on the welding horizon to apply the energy where it is required to create a weld – without needing any special additives. Other features of the PrecisionWeld include a setting which identifies the surface of the component and automatically adjusts the focus to the optimal position. The system is remarkably compact and needs only to be connected to a power supply and a compressed air line for operation. It is small enough to be equipped with rollers and fits through every laboratory door.The LPKF PrecisionWeld is ideal for production of prototypes or small batches, but it can also be automatically loaded for mass production purposes.